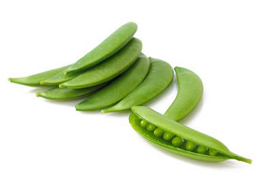 Sugar Snap Peas are a cross between garden peas and snow peas. Snap peas grow on a vine, which is supported by a trellis or other support system in order to keep the pods from touching the soil. They are a good source of vitamins A, C Thiamin, and Niacin, and provide adequate amounts of phosphorous, iron and potassium. 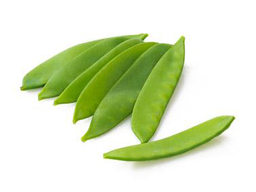 Sugar snap peas are a great addition to a healthy diet because they contain no cholesterol, almost no fat and are low in sodium.